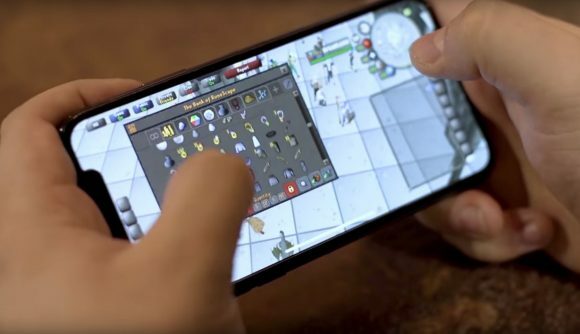 Old School Runescape is now available to download on iOS and Android. The mobile edition offers seamless cross-platform play with PC, so you can take the same game on the move with you when you’re done at your desktop. The news has been eagerly awaited by fans of the classic MMORPG, with a million pre-orders and another million playing on Android already through a members’ beta. Feedback from that beta has led to refinements to the mobile interface, including “a customisable, one-touch action button, and intuitive touch-screen controls”, according to producer John Colgrave. Head here for links to download Old School Runescape – or OSRS – on the App Store and on Google Play. OSRS is free to download and play, but if you pay a monthly membership fee, you get tons more content, including a much larger map and many more quests, skills, items, and other activities. Head here for a breakdown. Prices start at $10.99, or £6.99, for one month. OSRS is based on Runescape, one of the pioneers of the MMORPG, as it was back in 2007. It offers content for solo players through to 100-player raid parties, and is developed by Jagex alongside the community to ensure new features satisfy real demand and do not spoil the old school feel. Currently on the docket for consideration are a lost elvish city, a new Warding skill, and a new territory – the Kebos Lowlands – that would add new quests, monsters, and skills. All is subject to player approval via polling.